- Eletricidade de KW 19 a 39 incl. Wunderschöne Lage und Aussicht, herrliche Ruhe. Schöner, sauberer Pool. Ein idealer Ort um zu entschleunigen. Lediglich die Matratze war etwas durchgelegen. Relaxing accommodation with fantastic views! We stayed in the PTD006 1 bedroom (4 person) accommodation in late May 2017. The views from this house are fantastic and the house itself is clean and includes a fridge/freezer, microwave, two electric cooking hobs, TV (Portuguese channels only) and sofa bed. Downstairs is the bedroom with a comfortable bed and a clean toilet/shower room. 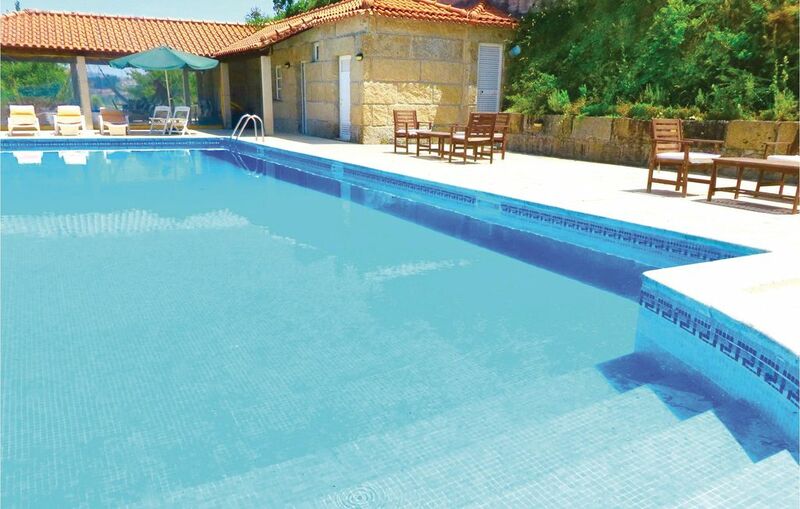 There are two swimming pools which appear to be cleaned daily and at the larger pool there is a really nice seating area with a BBQ and what looked like a pizza oven although we didn't try that. Both pools have several sun loungers and we had the spent most time at the larger pool where we had the pool to ourselves every day we went there so it felt like a private pool. Overall, this is a really great accommodation from which to relax and explore the area. We would love to return one day. Toller Ort, toller Weinberg mit Pool und sehr ruhigem Ambiente! Wir haben den Aufenthalt genossen. Sehr nette Vermieter, urige Unterkunft. Site magnifique avec le soleil du mois de janvier qui nous a donné envie d'y revenir à une saison plus verdoyante. Malgré notre arrivée tardive, l'accueil a été excellent. Peut-être un petit reproche côté chauffage et équipement mais bien vite oublié par la vue magnifique du matin au petit déjeuner, accompagné de délicieuses oranges de la propriété. A refaire. das Ferienhaus war komplett ausgestattet,gepflegt und sauber.